Old map by CHATELAIN - Carte d'Espagne et des Principaux Etats. . . Title: Carte d'Espagne et des Principaux Etats. . . Condition: A good and dark impression. Hard to find in original colours. 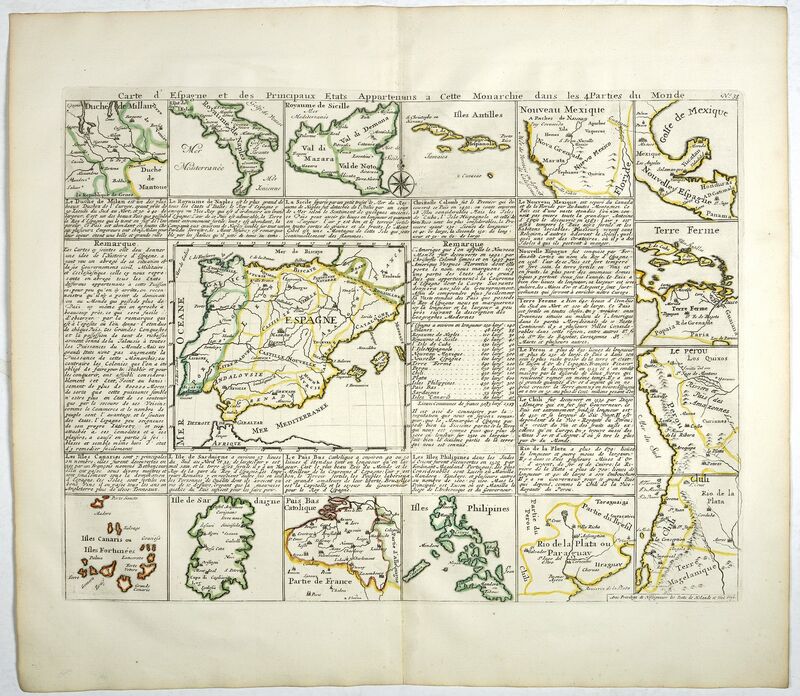 Interesting sheet showing 15 maps of Spain and it's overseas possessions. With maps of Philippines, Canary Islands, Sardinia, Cuba, Mexico, Belgium, Sicily and South America. The text panels giving interesting information for each area.